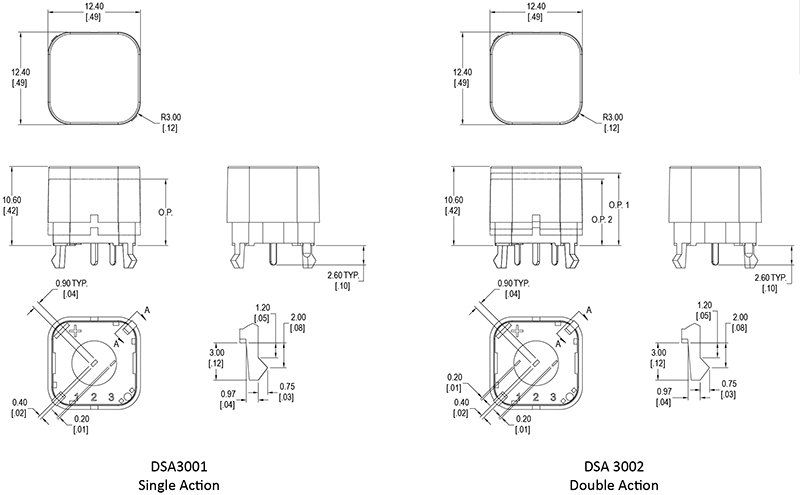 The DSA Series is available in both double and single action. Compact in size but offering a large actuator surface, this DSA single pole key switch offers PC pin termination with silver plated coper alloy contacts and terminals. This through hole switch is available with either SPST NO or SPDT pole options. This micro switch features piano wire springs and an actuator made with polyoxymethylene (POM).